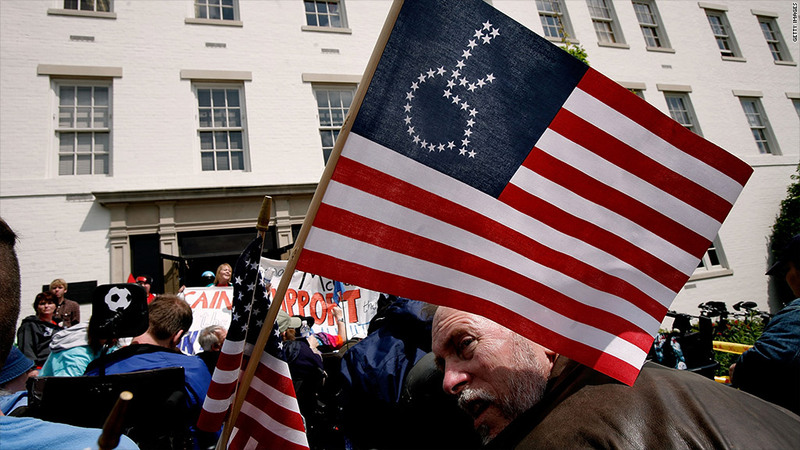 The number of Americans on disability is skyrocketing due to the recession, an aging population and a decade of war. The number of Americans getting some type of disability check from the federal government is soaring. Since 2003, there's been a 29% jump in Americans with little or no work experience getting disability payments, according to the Social Security Administration. Over the same time, there's been a 44% increase in disability claims by people formerly in the workplace. All told, the federal government spent nearly $250 billion in 2011 paying more than 23 million Americans some type of disability claim. That's about 7% of the overall population, and 16% of the workforce. Those numbers don't even include people out on worker compensation claims -- which are mostly paid for by private companies. Five states also offer short term disability, and there are nearly 1 million workers receiving private disability insurance. But the Social Security-administered program that pays disability claims will likely run out of money by 2016, forcing politicians to either cut Social Security benefits, raise taxes or, most likely, dip into general Social Security funds for the money. There are many reasons for the increase in disability claims, most notably the recession, an aging population, advances in medical technology and a decade of war. The recession: The economic downturn in 2008 and early 2009 is thought to be the major reason for the jump in disability payments to people who were formerly working. "With every recession, we see a rise in the number of applicants," said Andrew Houtenville, an economics professor at the University of New Hampshire's Institute on Disability. "People are looking for options in terms of income support." During the 2001 recession, disability claims from those who used to have a steady job shot up 13%, said Barry Lundquist, president of the Council for Disability Awareness, an insurance-industry funded organization. The growth in claims slowed during the subsequent boom years, but then skyrocketed during the most recent recession. In 2009, claims jumped 21%. Lundquist said it is simplistic to characterize the jump in claims as people simply looking to substitute disability payments for unemployment. "Most people really do want to work," said Lundquist. But for some, it's really just not an option. Aging population: The U.S. population has risen about 8% since 2003. In addition to more people, the population is also getting older as the baby boomers retire. Older people tend to have more disability issues. And if someone in their late 50s or early 60s gets laid off and also has some sort of injury, they know it's going to be hard for them to find another job. Still, Houtenville noted that disability claims are up among all age groups. Welfare reform: Efforts in the 1990s to reform the nation's welfare laws had the perverse effect of pushing more people onto the Social Security program for people with little work history. That has continued. States and municipalities actually set up screening centers to test welfare recipients for disabilities, said John O'Neill, director of employment and disability research at the Kessler Foundation, a non-profit focused on disability issues. If any were found, state workers helped the people apply for federal disability benefits. "They shifted their costs onto the federal government," said O'Neill. Medical advances: This is particularly relevant for military veterans. Thanks to better surgical techniques -- and body armor -- soldiers are ten times as likely to survive today's wars, according to the Veterans Administration. But soldiers often come home with severe injuries. The recent decision to recognize post traumatic stress disorder as a disability has also lifted the number of benefits claims. The Veterans Administration noted that illnesses tied to the cancer-causing chemical defoliant Agent Orange used in Vietnam are also now viewed as a disability. But medical advances aren't just helping soldiers. Premature babies have a better chance of living now, as are people who have a heart attack or stroke. However, surviving doesn't mean that people are entirely symptom-free. "We're not just living longer, but we're living disabled longer as well," said Daniel Steenerson, president of Disability Insurance Services, a company what works with both insurance firms and disabled people. Need for reform: Some of the increases in disability payments are arguably a good thing - like more veterans being covered. But Houtenville said the Social Security disability program for former workers could be improved if there also was a short term disability program that encouraged people to return to work. An increase in job training and education programs for the disabled would also help.